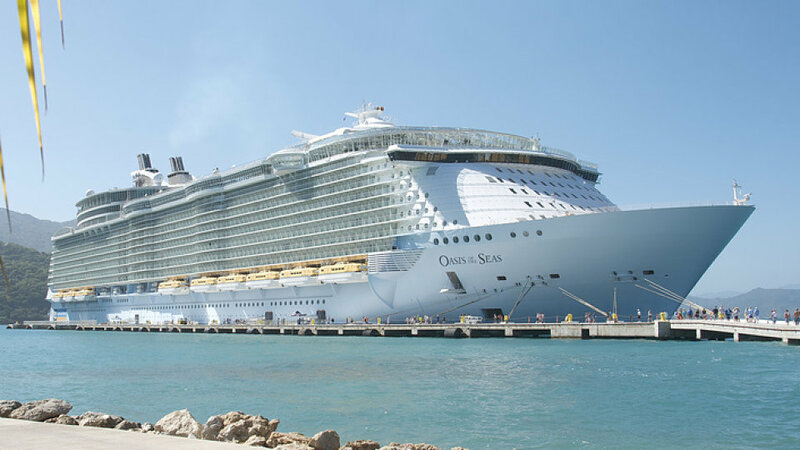 Royal Caribbean International operates some of the most environmentally friendly cruise ships in the world. Because we understand our responsibility to protect the oceans we sail, we abide by strict "Above and Beyond Compliance" environmental policies. Royal Caribbean's environmental policies guide both shipboard and shoreside employees in safe environmental practices day-to-day. From our Board of Directors, to our newest employee, from the captain to each crewmember, we are responsible stewards of the marine environment and the ports we visit. Oasis of the Seas - Travel Weekly Magellan Gold Award for Overall Eco-Friendly "Green" Cruise Ship. Cruise Lines, Overall Winner - Royal Caribbean Cruises Ltd.
Wildlife Conservation, Runner-up - Royal Caribbean Cruises Ltd. Doing It All, Honorable Mention - Royal Caribbean Cruises Ltd.
Humane Society of the United States, Corporate Progress Award, for being the first cruise line to switch to cage-free eggs - Royal Caribbean Cruises Ltd.